Tired of the hassles of cleaning, maintaining (not to mention paying for) a big apartment, condo or home? 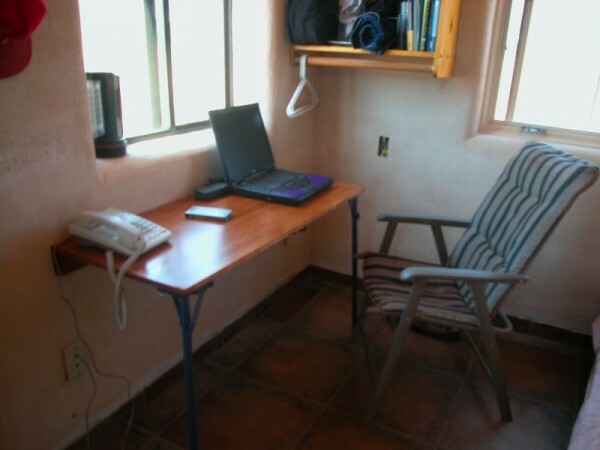 Looking for a just-built energy-efficient, traditionally-styled Aztlan adobe? 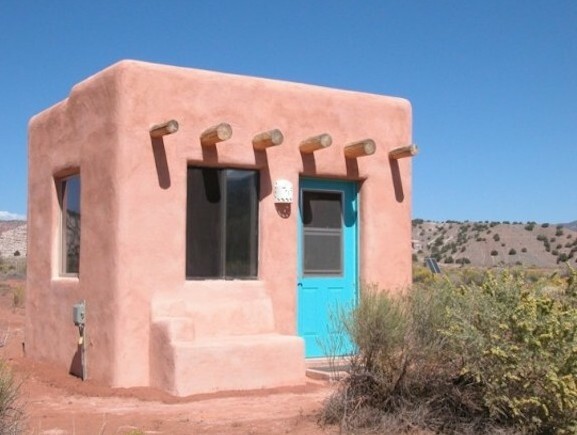 Getting back to basics is easy with this lovely Abiquiu, NM property which offers 86 square feet of solar-powered living space away from the noise, crime and confusion of urban life. The footprint is 120 sq ft (12′ X 10′) but the thick walls reduce the interior living space to 86 sq. ft. That’s just enough for a small bed, a fold-down desk, a small kitchen counter and some shelves. The only wood in the structure is in the roof. The inside wall treatment is mud plaster made from white clay which is abundant in the area. The outside is stucco over 2 inches of rigid insulation. I built it from adobe which was mortared with mud from the building site. The foundation is a 10″ X 10″ collar beam on top of a 20″ X 20″ rubble filled trench. This foundation system provides adequate support for the heavy walls and took only 1 square yard of concrete to make. For more information on the property, visit Tiny House Design.